Today I am happy to announce the launch of the new free yoga exercises and yoga poses videos for 2011. As you might have noticed I have been adding lots of new free video content to the website, specifically the new meditation video series, and in the background, I have been working very hard to create new yoga exercise videos for you as well, the first of which is the Balance Yoga Pose video below. I hope you all enjoy these videos and if you do, all I ask is that you help spread the word so others may benefit as well . I first published this pose in the article, Basic Yoga Poses for Balance. You can read that article for full details about this excellent yoga posture. As I mentioned there as well, this pose is really fun to do and is very beneficial for those looking to improve their coordination, balance, agility and overall flexibility. 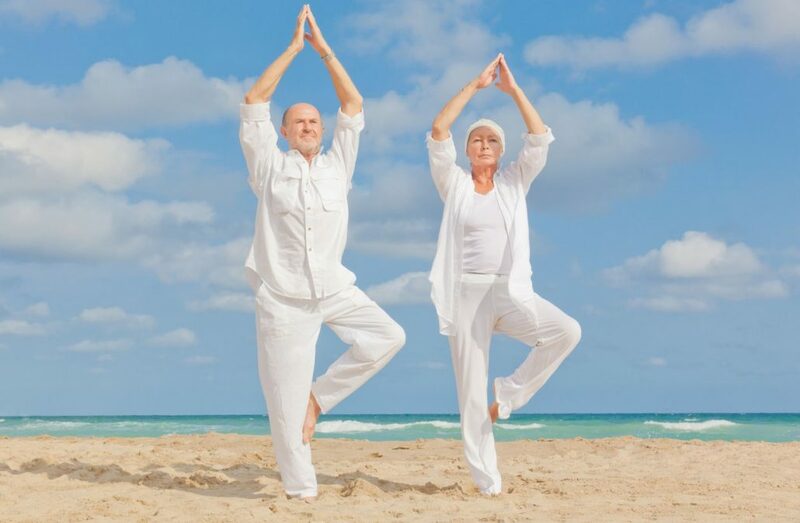 Seniors in my classes have also expressed how much this pose has helped them, as balance can become an issue as we age. In addition, this pose is quite safe to do and has some nice easy modifications as well. To modify this pose, simply extend only your arm or only your leg, instead of doing both simultaneously. Then, as you develop your physical strength and improve your balance, you can try the full pose. Many are surprised when they do this pose as they think it will be no problem, but upon trying it they find just how much they do need to work on their balance and coordination. If you fall into this category, do not worry, this is not uncommon. Simply keep at it and you will quickly find yourself getting stronger and better balanced. One tip with helping you keep your balance when doing this posture, is to keep your eyes open and gaze at a point in front your you. The visual cues you get are key in helping the body maintain it’s equilibrium and balance. These videos will become part of the Free Yoga Exercise Video Series here on Mastery of Meditation and Yoga. If you are part of the Yoga Teacher’s Training and Certification Program, this pose will complement your training nicely. 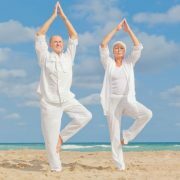 This is a good pose to do early in the class, and if you have elderly or seniors in your class, this is a very good pose to teach them. Don’t forget to allow the students the option of using the modification if they don’t feel ready to do the full pose. One more tip, this pose requires considerable room to do, so make sure you ask your students to spread out and give each lots of room before doing the pose. You don’t want them kicking each other as they stretch out :-). The video gives a full demonstration of Yoga Pose for Balance. It teaches the Hatha Yoga variation as well as the more difficult Kundalini Yoga variation of this pose. It teaches the various breathing methods and eye positions that can be used with Yoga Balance Pose.